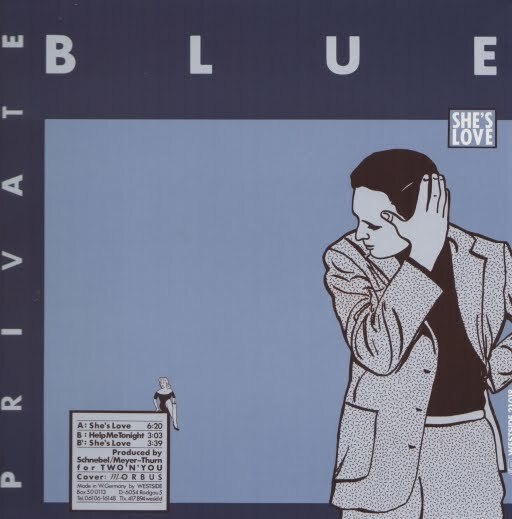 Private Blue was a short live German act that released only one single during their brief existence. It was “She’s Love” 12” which featured two version of this song plus “Help Me Tonight”. As per genre it is defined as Synth Pop with strong influence of Italo Disco which was evident in Germany at that time. The single was released on 80’s label Westside Music which during that time also released music by Moskwa TV, Celebrate the Nun and many more. Today more an obscurity which we hope will find its place on music compilations who appreciate similar genre.